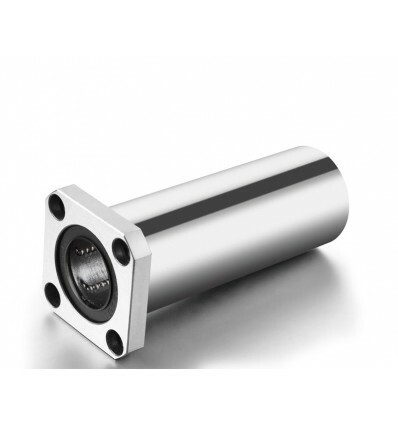 This LMK10LUU flanged linear bearing provides low friction motion along a single axis 10mm shaft. Generally used on 3D printers for accurate Z-Axis gantry motion. 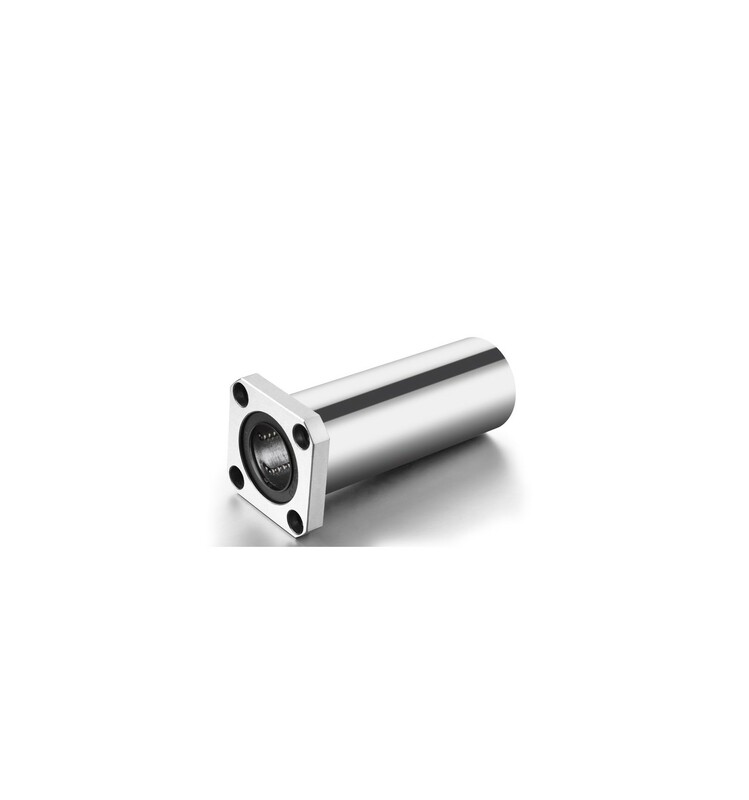 If you are making a 3D printer or CNC machine requiring precise linear motion, this LMK10LUU flanged linear bearing can be used to attach a motion carriage onto a railing using a perpendicular flange for convenient mounting. It is intended to slide along a 10mm linear shaft rather than rotate around it, and provides less slop or friction when compared to bushings, resulting in less wear and smoother more precise motion. There are two rubber seals on either end to prevent debris or contamination of the ball bearings. Flange mount linear bearings offer the same advantages over standard linear bearings while also incorporating a perpendicular flange for easy mounting. 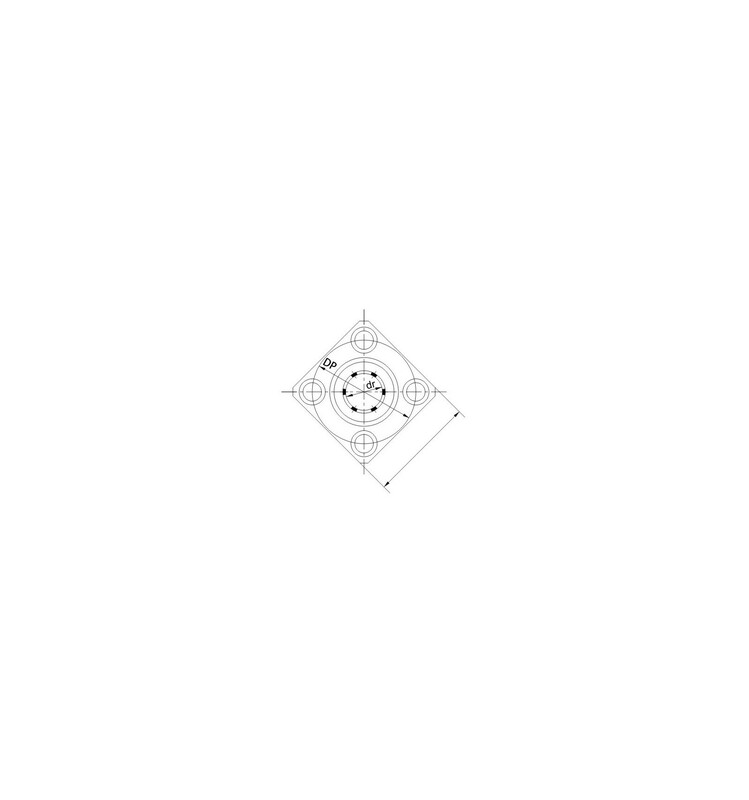 Two of these are generally used on the z-axis assembly of 3D printers, allowing secure fixing of the perpendicular bed to the four mounting holes on the flanged surface.